Seventeen year-old Eliza Taylor's latest run-in with New York City Police lands her on a bus with a one way ticket to the small town of Blackwater. Unimpressed with being an indentured servant for her cranky and ridiculously ancient aunt, Eliza soon finds hope when she meets Dante, another of her aunt's employees, as well as Chase, the cute boy-next-door who works at his dad's hardware store. Unfortunately, Eliza's panache for getting into trouble rears its ugly head when she discovers her aunt's shop sells more than just postcards from 1988. Her aunt's "private showroom" houses each of the seven deadly sins: Pride, Envy, Wrath, Avarice, Lust, Gluttony, and Sloth. But stopping her evil aunt from damning the souls of unsuspecting teens has a price - and that price might very well be Eliza's eternal soul. Can Eliza survive her evil aunt, outwit the dark master she serves, and keep a few souls out of Hell, including her own? She's not so sure, but seeing as how she likes her soul in the upright and firmly out-of-hell position, she's gonna give it her best shot. Hopefully her best won't end up killing her and ruining her afterlife - God knows her normal life is hard enough! 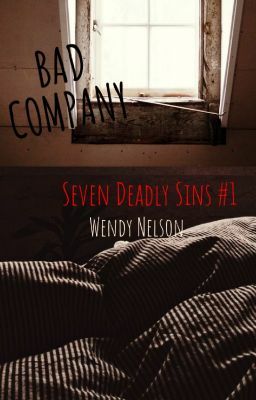 **Copyrighted Material: Bad Company Copyright © Wendy Nelson 2012 All Rights Reserved. No part of this literary work may be reproduced or used without written consent from the author. ***All images, videos &amp; photos belong to their respective owners. No copyright infringement or violation is intended by their use. Prologue: You Sucked Her Into What?